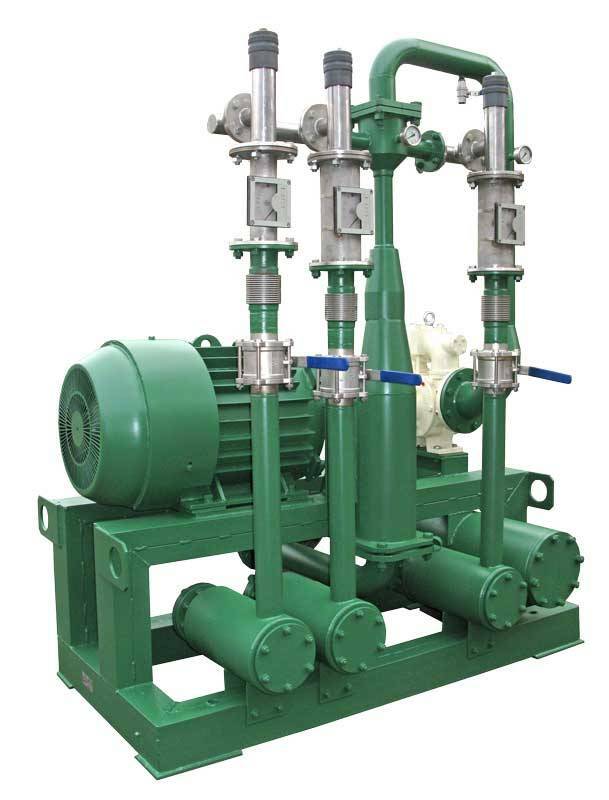 Skid Systems-Ethanol and Biodiesel Blending, Metering, USB-100/4 & USB-150/5 type is designed to blend up two to five separate liquid components, particularly low-bracket gasoline with additives, to prepare multi-component blending motor fuel including vegetable additives. The system can be used at enterprises of oil-refining and food industry likewise at petrol stations. It is designed to be operated indoors as well as outdoors under a shelter. System design allows operating at new enterprises under construction as well as at operating ones.. Modern hydrodynamic (stream) blending plants have shown themselves in industrial operation as economic, accurate and steady means for high-quality motor fuel production with optimal prime cost. In comparison with existing technology of components blending at blending vessels, reached economy and increasing of production profitability can force investment return up to 60 % for a year and provide project payback for one year or less. Reduction of labor trade, professional development of the personnel and increasing professional interest.